Live streaming is for more than just sharing university lectures. With the right features and capabilities, live streaming can be a useful tool for your company’s corporate communications, sales and marketing, customer advocacy, and training and professional development for employees. And with robust security settings and flexibility in integration and sharing, you can get the most out of live streaming for your business. Incorporating live streaming within your business opens up possibilities for internal and external communications. Many businesses utilize live streams for company-wide broadcasts from a CEO or C-level executive. 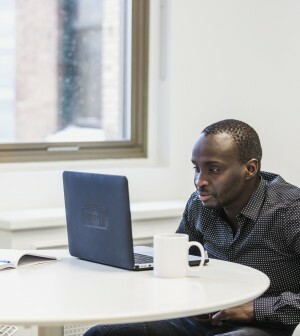 Engage stakeholders across the company, including remote employees, by communicating internal policies, “state of the union” updates or company goals. Live streaming can be used for internal sales and marketing updates, as well as external marketing messages. Share updates and information on new products, services, features and tools. Educate sales teams and get them excited about current or upcoming initiatives. Connect with customers in an accessible, instant way. Live streaming allows your company to provide customer-focused service and support, build relationships and promote brand loyalty. Reward customers with live sneak peeks and special events that make them feel valued and encourage them to share your business with others. Live trainings, webinars and virtual guest presentations are made possible through live streaming. A custom video platform gives your business the ability to communicate securely, track video viewership and allow employees to share their own content. In a recent case study, we explored how one of our customers––a senior living organization––leveraged the Ensemble Video platform to implement a streamlined, award-winning employee training program. Through their organization’s eCampus LMS integration with Ensemble Video, they could reinforce staff best practices ensure excellent service across multiple communities. With the right security settings, you can make sure your streams are only being seen by the right people. A custom video platform ensures secure live streaming and organization of your business’s internal content. By utilizing on-premise, self-hosted video deployment—instead of a public, cloud-based solution—you maintain control over your company’s media content and can be confident that it will only stream over your local area network. You can also implement additional security through permission-based access or password protection. This type of security feature restricts access to different categories or audiences—from the company-wide level to more specific geographic locations, teams or even individual videos or users. If you’re interested in learning more about how to secure video content at your company, you can read our free resource. A custom video platform like Ensemble allows your business to use multiple live streaming encoders, including hardware, software and mobile ones. These devices format and push the video feed into Ensemble so your company can seamlessly stream content. If your live streaming encoder supports RTMP, it will work with Ensemble Video! Because a custom platform works with different kinds of encoders and streaming protocols, your business can leverage your existing infrastructure and be agnostic in terms of streaming options. While many companies want to share content securely, you may also need the ability to live stream public content. With Ensemble, you have a range of options for both secure and public streaming. This flexibility to stream public content means your business can reach broader audiences with marketing messaging or customer-focused communication when desired. New integrations with video conferencing applications like Zoom and WebEx (WebEx is coming to Ensemble Video in Q1 2019) give your business more resources for virtual meetings and webinars. A custom video platform offers features like screen capturing and recording, dual-stream recording, the ability to add attachments, transcripts, closed captioning, search capabilities and custom branding that bring extra functionality to your live video conferences. 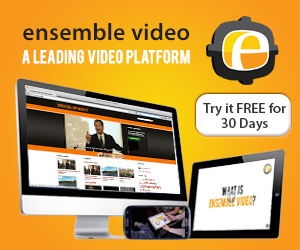 Discover how your business can optimize live streaming with Ensemble’s enterprise video platform. Contact us for a free trial and explore the flexibility and full range of features.